Russian Navy reported that the new corvette is about to finish state sea trials and is going to be commissioned to the Navy by the end of the year. “A new Buyan-class corvette will join the Russian Navy by the end of this year”, Navy spokesman Captain 1st Rank Igor Dygalo said. “The newest corvette, the Project 21631 Vyshny Volochek, built at the Zeleny Dol shipyard, will be commissioned to the Navy by the end of 2017 after completing all trials,” he said. Russian Navy Rear Admiral Victor Bursuk has said the warship is about to finish state sea trials. A Russian maritime fag will then be raised atop its mast. 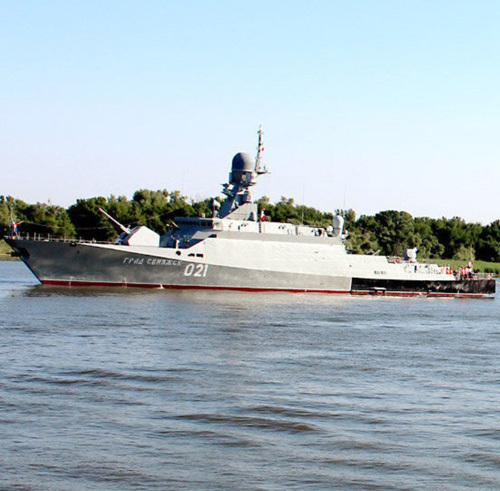 Multipurpose Buyan-class corvettes have been produced in Russia for the past seven years. They are typically outfitted with state-of-the-art artillery, rocket and missile systems, and are used to protect the country’s economic zone. Earlier, the Navy reported that it expects two Buyan-M class missile corvettes armed with Kalibr cruise missiles to join the forces by the end of 2019.